We are in our second year of providing enhanced specialist provision for Secondary students and in our first year for Primary students with Autistic Spectrum Disorder and related Complex Needs.  Bradford Christian School work closely in partnership with Bradford Local Authority SEN Assessment Team and the Autism Team to provide an enhanced specialist provision for both Primary and Secondary students. A team of Teaching Staff, Play Therapist and specialist Learning Support Assistants work to provide an enriched, individually oriented curriculum within an integrated setting where students can learn alongside their peers at a pace and with the support suitable to meet their needs. Transition work with Further Education Providers – Bradford Christian School is proud of its ethos of inclusion. All of our DSP students spend some time in mainstream lessons, where appropriate and time taking part in Primary, Middle, Upper and whole school activities and events. This helps build their confidence and enables them to take a full part in school life. All students allocated places will have an Education Health Care Plan (EHCP) . The DSP is an enhanced provision where students are mostly in the DSP with some lessons in our mainstream setting. Placements will be sought through and formally approved by Bradford Local Authority in consultation with the school. You are welcome to arrange a visit to our school or request further information.